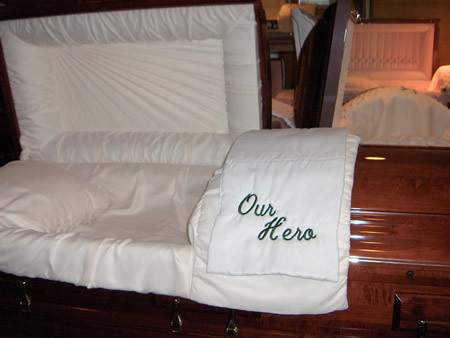 When you enlist the services of Cook Funeral Home you are enlisting the services of a highly qualified and dedicated staff committed to assisting you in celebrating the life, as well as the ability to personalize each funeral service to provide a fitting tribute to your loved one. Whether your choice is a traditional earth burial, a mausoleum entombment or a cremation, Cook Funeral Home will ensure that your wishes are carried out with dignity, compassion and respect. 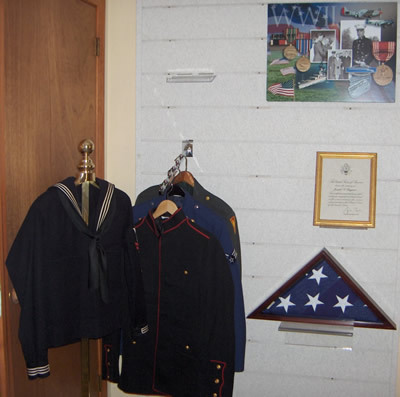 Cook Funeral Home is proud to offer the area's first personalization center dedicated to funeral service, including a section dedicated to our veterans. With many funeral homes today installing a merchandising room that shows a portion of a casket, Cook Funeral Home continues to maintain a casket selection room with caskets on display, detailing a variety of price levels. You may inspect them in complete privacy. 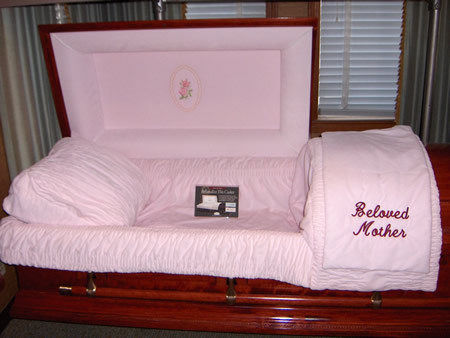 The caskets we sell are all manufactured by North American companies and are of the highest quality. 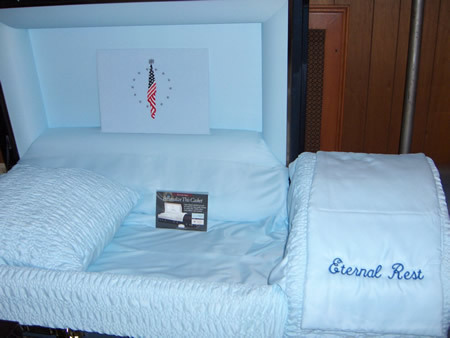 Additional caskets not displayed in our showroom are also available upon request. 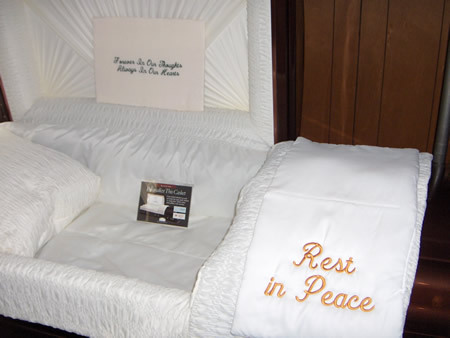 Outer burial containers or vaults are required by most cemeteries in our area. 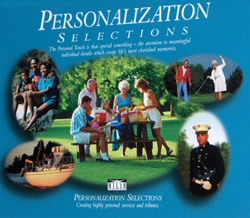 Our selection room also has models of vaults for your review that meet all cemetery requirements and family preferences. With so many options available, funeral expenses vary according to the type of merchandise and services that are selected. For this reason, Cook Funeral Home offers free and confidential consultations to help you make decisions that are affordable as well as in accordance with your wishes and traditions. You can call us at 860-482-4456 to set-up an appointment with a licensed funeral director, either in our office or if more convenient, we will meet with you at your home.